Chill & Teethe Teething Toy is rated 1.0 out of 5 by 1. Rated 1 out of 5 by Alhandlen from DO NOT Buy These Teethers For Your Baby!!! 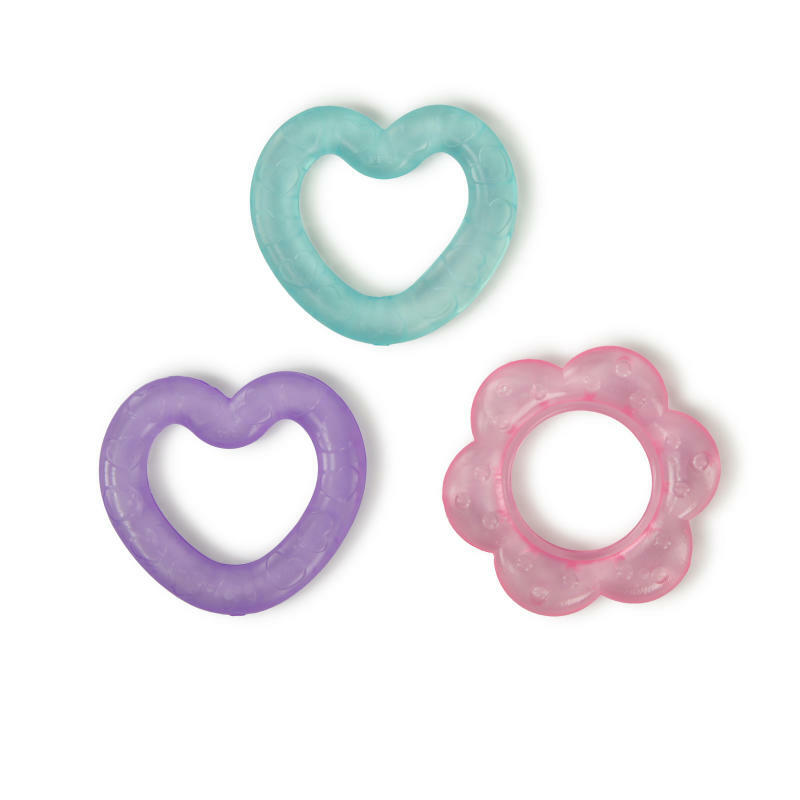 I bought these teething rings for my 6 month old daughter because I thought that they were cute & affordable. I liked that they were small enough for her to easily hold by herself. However, on 3 separate occasions, while sucking on the heart-shaped teether, it became lodged firmly in her mouth to the point where she couldn't pull it out herself. Her tongue became trapped underneath it somehow and turned a purply blue colour from having the circulation cut off. Thank goodness I was there to help her, otherwise who knows what might have happened! Very scary! After the latest incident, I became convinced that these teething rings are a hazard to babies and threw mine away. I want other parents to know that they're dangerous too. Err on the side of caution and buy larger teethers for your babies so that this doesn't happen again! !